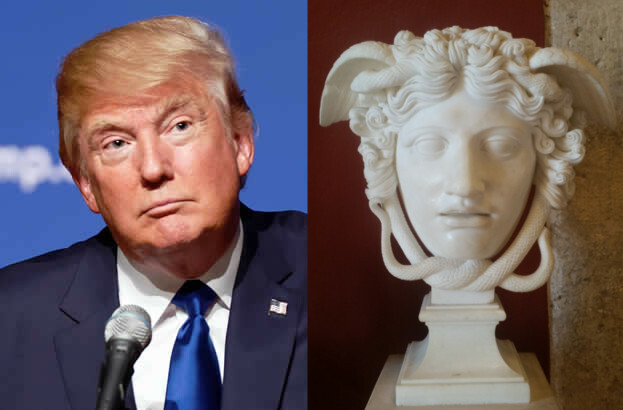 Donald Trump’s midheaven is within one degree of Algol. The highest point in his chart is at the same degree as the star that represents Medusa’s snake-haired noggin. His “animals” statement coincided with the triggering of this point in his chart. Today and tomorrow, and over the next two weeks, there are some significant astrological red zones we’ll be moving through. 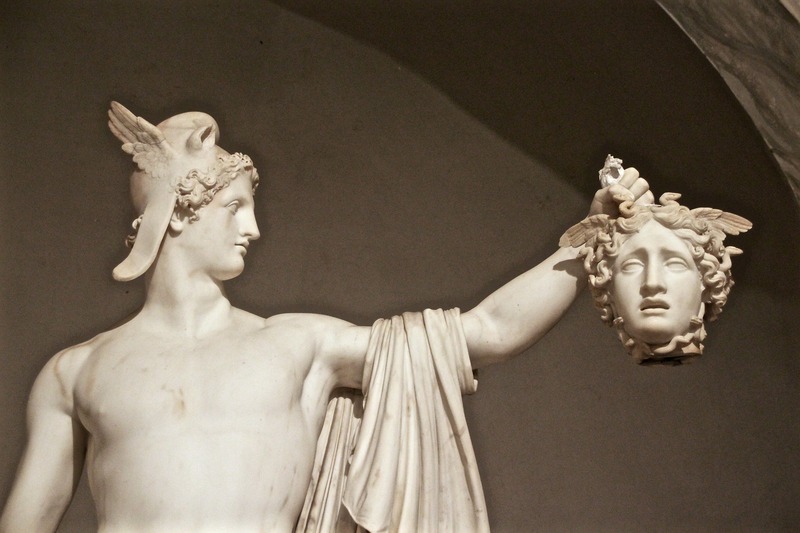 Algol is the star in the constellation of Perseus that represents the head of the Gordon, Medusa. Algol, comes from the Arabic “al-Ghoul” or “demon”.